Fifth-grade students employ every section of the writing treatment and proceed to construct their comprehension of publishing promotions. It could be a demanding moment for anyone. Boat batteries are pricey items and it’s worth investing in appropriate technology to get the best possible performance out of them. Nothing illustrates this point better than the dull click of a flat battery when you try to start your engine or a GPS that stops working in the middle of the ocean. While an empty battery on a boat is somewhere between inconvenient and outright dangerous, our work to prolong their life starts way before. As a rule of thumb, a lead-acid battery should never be less than half full. Using more will significantly shorten its life. Some experts even say not to use more than 25% before recharging. You can partially solve the problem of empty batteries with a simple voltmeter that displays the battery voltage, but measuring voltage is not the greatest way to determine battery charge. Measuring the actual amount of energy remaining in a battery is a complex task, different to simply checking the level in a water or fuel tank. Even if you use powers of math along with your voltmeter, you still need to give your battery at least four hours of rest before measuring its voltage if you want to have somewhat reliable results. For a Lithium battery, it is even more difficult to determine the state of charge from voltage due to a very flat discharge voltage curve for this battery type. But knowing how much juice is left in your batteries is only half the battle if you try to maintain their good health. How do you know if your batteries are getting charged enough? Are your solar panels or wind generators sufficient? Is it time to run the generator again? Here a battery monitor comes into play. 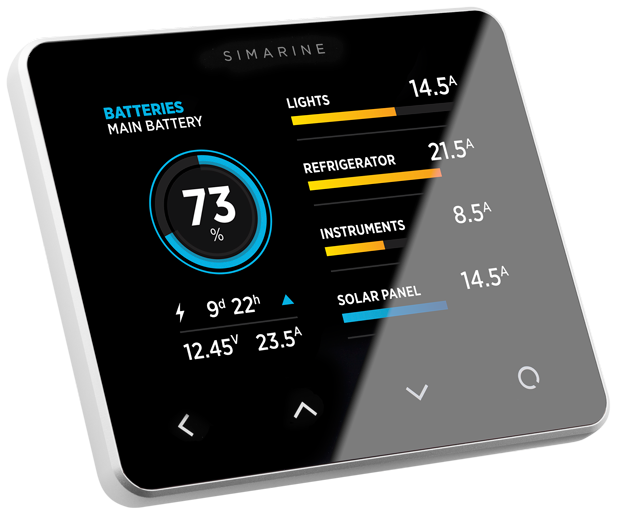 It delivers all the important information like volts and amperes coming in, your battery consumption and remaining ampere-hours. 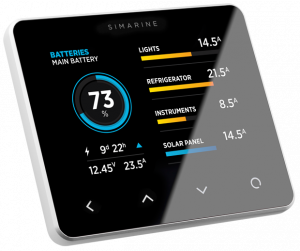 While any battery monitor is better than using nothing at all if you know what information to look for, there are some major advantages to using our Simarine PICO battery monitor and its advanced battery monitoring. It provides a highly accurate monitoring at a reasonable cost, packaged into our award-winning sleek design. PICO ensures precise measurement of voltage, current, and temperature of your battery gives you correct status about your battery state of charge, health, and much other useful information. And what is even better, it delivers all the information in a clear, concise and easy to understand way so any crew member can understand how much charge is left in the battery and can act accordingly. Depending on your configuration, it can also provide data about water and law essay writers UK, fuel and grey water tank levels and temperatures, so you can always know how much carefree time on your boat you still have. PICO’s menu management is transparent and easy to use. All changes can be done using four touch buttons below the screen or via a mobile app. For the best analysis of battery info, you need more than just real-time data. PICO actually stores historical data and helps you analyze your battery health better. And let’s not forget its expandable architecture. PICO allows adding up to 20 Simarine shunts and modules to monitor all kinds of boats – from a small one to a superyacht system with up to 6 battery banks, 14 tanks and 20 independent consumers and generators.